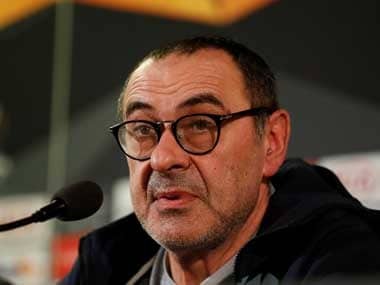 Milan: Napoli owner Aurelio De Laurentiis on Wednesday accused former coach Maurizio Sarri of only being interested in money and predicted that new manager Carlo Ancelotti was in for the long haul as the southerners chase a first Serie A title since 1990 and dream of Champions League success. "I thought I had met a coach who would stay at Napoli for a long time," De Laurentiis said of Sarri in an interview with Corriere dello Sport. "At a certain point it became a question linked exclusively to money. Suddenly, it was established by the media that his contract must be adjusted. So what is the value of an agreement just signed? We had already gone from 700,000 euros ($800,000) to 1.5 million euros ($1.7 million)," added De Laurentiis. The Napoli boss added, "I also once heard him say that for his next contract, he wanted to get rich. 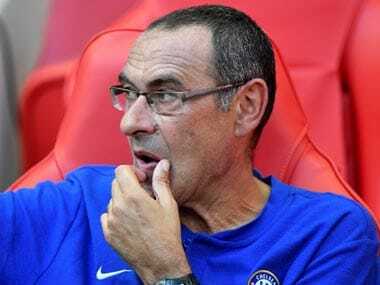 Sarri's declarations of love for the city? I believed it, but then I wondered: 'What if he was using me as a bank?'" 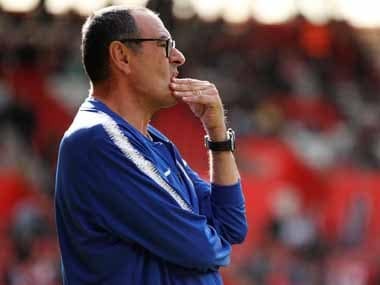 Sarri, a former footballer who turned to a career in banking in London, Zurich, Frankfurt and Luxembourg, before returning to coaching, took over at Napoli in 2015. 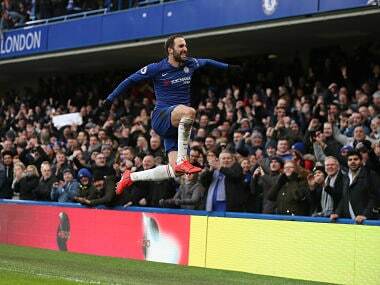 But the 59-year-old moved to Chelsea on a deal reported to be worth nearly six million euros ($6.6 million) during the summer after Napoli finished runners-up to Juventus despite a club record 91 points. His job in the Stadio San Paolo was taken by former Chelsea and Paris Saint-Germain boss Ancelotti, who has won league titles in five of Europe's top leagues as well as the Champions League with AC Milan and Real Madrid. "Ancelotti was a date written in the football universe as if fate had decided it," said film producer De Laurentiis, who rescued the club from bankrupcy in 2004, adding, "it took five minutes to get an agreement. The quickest negotiation of my fifteen years of football." Napoli are six points behind Juventus in Serie A this term, but are top of their group in the Champions League after a late Lorenzo Insigne winner over Liverpool a week ago. "With him, we have a human relationship. We discuss our mutual interests. And if I talk about football, he doesn't get offended," said De Laurentiis. 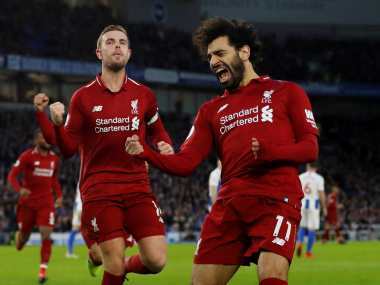 "Before the match against Liverpool I called him in the morning. I expressed some opinions, politely, but also with authority. He told me: 'Don't worry, president, we will win'. I took it as his word and at the 87th-minute thought: 'Do you want to see what happens?' And then it happened," said De Laurentiis. When asked about Lorenzo Insigne, he said, "Insigne? He hasn't surprised me. He's a product of Napoli and Naples, a complicated city where it's more difficult than elsewhere to be a prophet in your homeland. He (Insigne) proved to be a man." De Laurentiis believes that there is still hope this season despite trailing Juventus by six points after eight games. "There will be a moment when even Juventus can break," he warned.